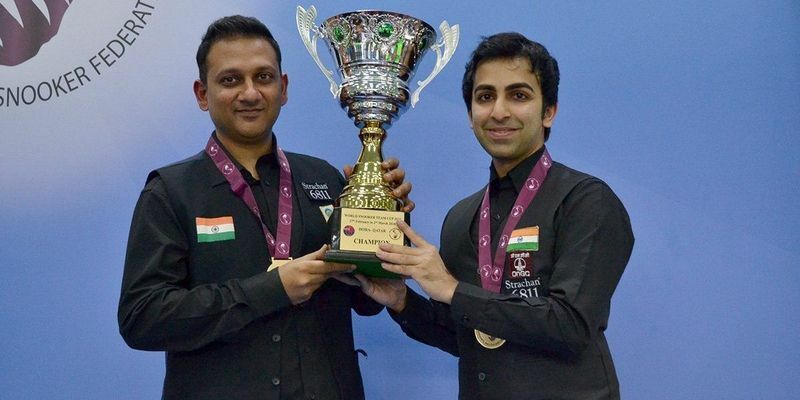 The Indian duo of Pankaj Advani and Manan Chandra staged a brilliant comeback to down Pakistan in the summit clash of the inaugural IBSF Snooker Team World Cup. The victory gave the Bangalore based Advani his 19th World Championship title, which became sweeter after beating Pakistan in the final. India were 0-2 down in the best-of-five final and even failed to have a good start to the third frame as they found themselves in trouble at 0-30 down in the third frame. However, a brilliant 39 break from Chandra and a sublime clearance of the final colours by Advani, helped India make a comeback and win the third frame. In the fourth frame, however, India again found themselves at a spot of bother as Advani was trailing 1-20 against Babar Masih. But, Advani used all his experience and displayed his mastery by clearing the table with a 69 break. The fourth frame victory made India draw level with their neighbours as the final frame became the do-or-die encounter. In the fifth frame, Chandra and Muhammad Asif found themselves in a rapidly-changing frame, but the Indian changed gears first and did most of the scoring with every given opportunity to secure the tie for India. “After it became 2-0 in the favour of Pakistan, we knew our chances of winning were slim and had our task cut out. After winning the doubles frame we saw a glimmer of hope and knew now it was up to us to dig deep and individually win both our singles matches to pull off a Houdini,” said Advani, reported PTI. Earlier, the pair helped India beat Iran 3-2 in the semi-finals to set up the final clash with Pakistan.